Many readers have asked me questions about yoga. These questions helped me realize 3 common misunderstandings about this superb practice. We will discuss them in this article. I hope that it will benefit yoga practitioners of all levels, and help non-practitioners begin yoga the right way. Yoga is too mellow for body transformation. 3 years ago, I started yoga because my backache and headache had worsened as a result of bad postures, overwork, stress and low blood pressure. My backache and headache slowly disappeared in 2 years – something none medicine could do to me. Yoga is incredible for body transformation. Yoga postures were created, and have evolved in the past 5000 years, to heal, give your body strength, flexibility and balance. Not only pain will gradually go away, you will find your body lighter and much more vigorous that you barely notice it. You can work in the afternoon without a headache, walk up 3 flights of stairs without panting like a dog, and type documents without constant strain at your neck. What about beauty? Will yoga make you lose 20 pounds, have 6 packs, ripped booties, and thigh gap? There was a period of 9 months when I, anxious about body image, switched to gym: cardio, strength training (body weight and weight lifting), HIIT (high intensity interval training), followed various fitness gurus. I enjoyed it but something was missing. Therefore 6 months ago, I decided to get back to yoga, with a new level of diligence, devotion and wholeheartedness. I don’t know if yoga will give me 6 packs and thigh-gap. And honestly I don’t care. I have never felt more beautiful in my life. Something else I know for sure is that yoga will bring my body to the shape and form that is best for me. Each of us was born with unique figures: from bone structure, to metabolism rate, to certain weaker organs, or areas of tightness. Not to mention, we live and work in different environments. Thus, there no perfect body type. I used to obsess about my body image too. But really, life is too short to labor for a thigh gap. Besides, beauty is not about how a person looks, it’s about how that person shines. This brings me to the second point. Yoga transforms you from within. This takes time. But what’s wrong? Everything meaningful takes time. Anything worth learning in our short precious life is also worth spending a lifetime to master. You will begin to see the transformation within your first 6 months of diligent practices or even less (5 times per week). As you practice listening to your body during yoga session, you will be more sensitive to your body’s needs. Clean and healthy food will naturally become attractive. You will want to get enough sleep and rest better. Stress will go away. Your whole lifestyle will improve. You will become pleasant, cheerful, and loving. These benefits are inevitable, if you practice yoga wholeheartedly, with patience, and self-love. Yoga is difficult and painful. It could be practiced only by young people with innate flexibility. Nothing could be further from the truth. Firstly, the right yoga practice is invigorating and pleasurable. If you suffer from pain during your practice, you are doing it wrong; if your instructor tortures you, find another one. When you don’t enjoy the practice, your begin to experience subconscious resistance –inevitably you will give up yoga. Secondly, Yoga is about nudging your body limits gently, not breaking them. My yoga teacher often said: “Do your best. Not a little less, but not a little more.” Yoga is about “flirting with your limits” – in the words of Yoga Master Erich Schiffmann – not about breaking them. It is by nudging your limits that you can expand them without injuring yourself. You flirt with your limits by listening to your body. Thus, throughout the practice, ranging from 30 to 120 minutes, you establish close contact with your body. Knowing where the tight spots are, where are the weak areas, which parts of your body is strong. It is a beautiful way to be with yourself. “The primary and most important theme of yoga: learning to love and be loved,” said Schiffmann. You cannot truly transform anything without first loving it. I take this not only as yoga wisdom but a life wisdom. Thirdly, Yoga is for everyone: from a first grader to a lady of 70. Of course the younger and healthier you are, the quicker the asanas (yoga poses) come to you. If your body is broken, like mine 3 years ago, it will be fixed, gradually. Pain killer might numb your backache for a couple of hours, but it does not improve the condition of your back. Yoga is amazingly progressive. It might take you more time to sit in lotus position for example; but again, speediness and perfection are everything that yoga is not. The reward is in the practice when you learn to listen, understand, heal and transform your body. Let us get a little deeper. Follow me if you are curious. What is yoga, really? This is the first passage in Mr. Iyengar’s legendary guidebook Light on Yoga. Yoga is not simply about physical training, much less about being able to swing your leg over your head and turn yourself inside out. Yoga is a spiritual teaching. Yoga has various scriptures as Christianity has the Bible. In fact, it has been around for much longer. Yoga’s development can be traced back to over 5,000 years ago, making it twice as old as Buddhism. his mind, intellect and self are under control, freed from restless desire, so that they rest in the spirit within… Then he knows the joy eternal which is beyond the pale of the senses which is reason cannot grasp. He abides in his reality and moves not therefrom. He has found the treasure above all others… He who has achieved it, shall not be moved by the greatest sorrow. Knowing this, we can conclude that, while “losing fat” is a valid benefit of yoga, having a body-image – “a restless desire” – in mind to approach this spiritual practice is like praying for bestow of wealth in a Buddhist temple: distorted, narrow-minded, and counter-productive. Instead, a wise practitioner knows of the three interwoven impacts of yoga: on her Body, on her Mind, on her Soul. Body: A broken car does not bring its owner far. Yoga relieves pain, and lightens the body. By improving strength, balance and flexibility, Yoga releases obscured energy and make them flow more vigorously in our body. Diligent practices will retard, even reverse the decaying process of aging. Mind: A weak mind causes accidents. Yoga strengthen the mind by teaching it to focus, and relax. The prime reward is an innocent, expansive mind free of all chatters. No shames from the past. No worries for the future. Your mind, now less occupied by all those negative energy, is like a rust-free engine running at its full capacity. You think more clearly, make better decisions, steady in your emotions. Soul: With a lost soul, drive or not drive is no different. As we mentioned above, you learn to listen to your body during yoga practices. This develops the sensitivity between you and your core. Besides, your mind, free of chatters, gives you quietness. Therefore, You become a better listener in a quiet chamber of your consciousness. Assuredly, you will hear the whispers of your intuition. And if it “tickles your heart” - like how Steven Spielberg put it, it’s up to you to step off the mat and follow your crazy heart. I’ve always admired the healthy feel – not just healthy look – of a yogi. Light, calm, attractive. Not muscle-bounded but elegant, slender, and extremely strong. There is always something non-intimidating, something inviting, something holly about all of my yoga teachers. To me, it was obvious that there was something more to yoga than met the eyes. I was determined to rediscover yoga. 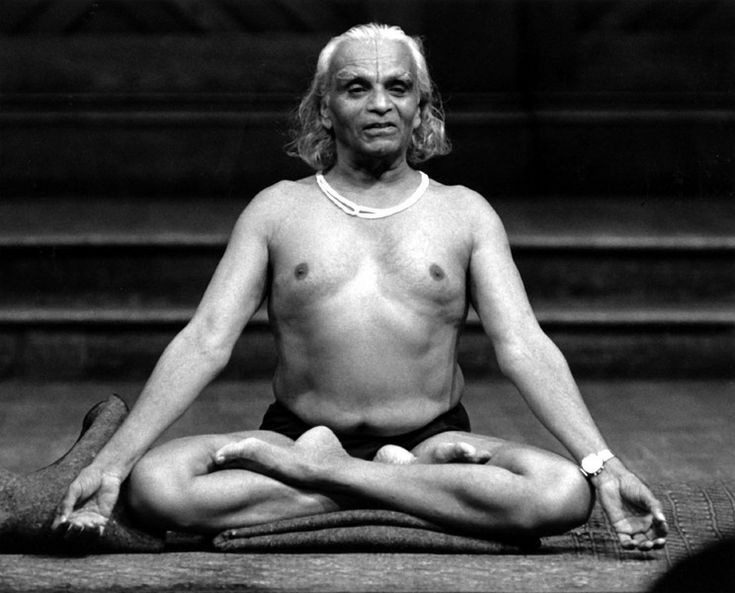 So I began to read yoga books written by the greatest gurus. They opened a grand universe that I had no idea existed. Yoga is truly much more. This re-discovery has illuminated my practices, and my being as a yogi, both on and off the mat. I hope this article help you practice yoga more wholeheartedly if you are a practitioner; and if you aren’t, to invite you to step on the mat, and join millions of us in this 5000-year-old path to a better self.